The day begins with a welcome aboard cocktail, so sit back and relax to a comprehensive excursion. Your crew will greet you at Vlihada Marina and inform you of the boat amenities. We visit the Ancient City of Akrotiri and the Red Beach, and then anchor at the White Beach, for a swim. After the White Beach we pass the Indian Head Mountain and the Venetian Lighthouse heading into The Caldera. 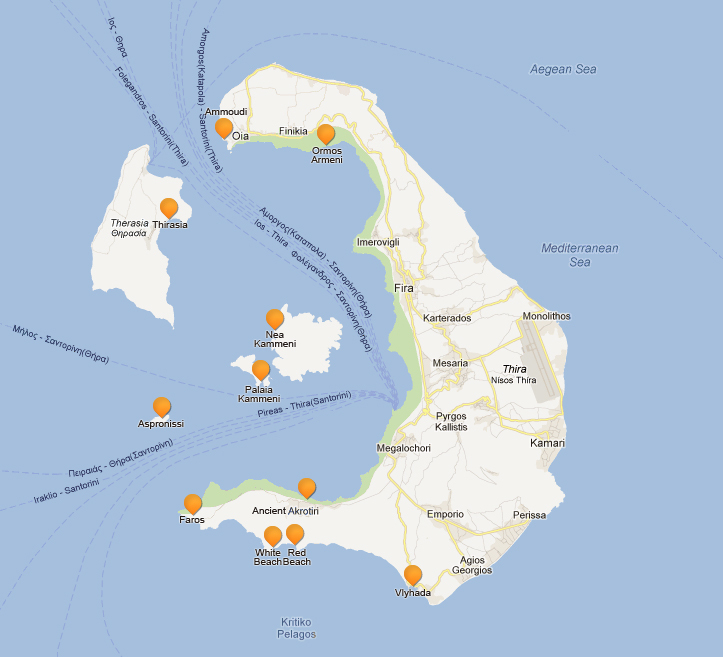 You then will visit Armeni, Ammoudi (Oia), Thirassisa, Hot Springs and cruise past the Volcano. A delicious bbq lunch is prepared in the sparkling clear waters of Thirassia and back to Vlihada Marina. Departure time is 10:00am.